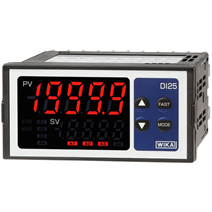 The model DI25 digital indicator is a multi-function, competitively-priced instrument for a wide variety of measuring tasks. The multi-function input has 18 different input configurations, which can be selected via the rear connections and also by selection of the appropriate input signal within the instrument configuration. In this way it is possible to connect both transmitters with current or voltage signals and resistance thermometers or thermocouples to the same instrument. The measured values can be retransmitted for further processing via an analogue output signal (4 ... 20 mA). 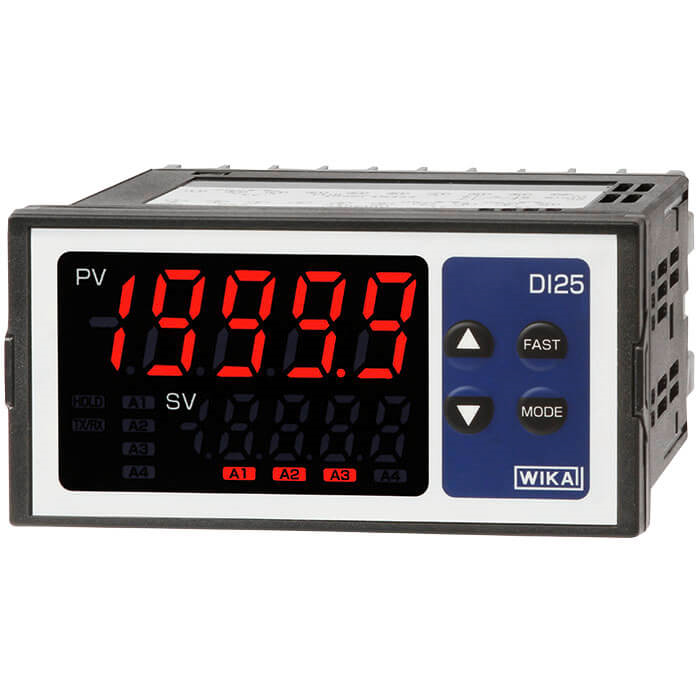 With the high ingress protection of the front panel (IP 66), the DI25 digital indicator can also be used under extreme operating conditions. All configuration and programming can be carried out through the front-panel keys.